The experiences of a struggling Irish writer in France during World War II—joining the Resistance, fleeing the Gestapo, risking everything again after escaping to the free zone—will help shape his groundbreaking literary future, suggests this novel based on the life of Samuel Beckett. It is a daring project, to enter the mind of a man known for his withdrawal and silences, but Baker succeeds triumphantly in prose that is both intimate and austere, with an unobtrusive Beckettian cadence ... Do you need to be interested in Beckett to engage with this novel? Well, as with the Longbourn servants, if you’re not, you should be, because again this is an extraordinary story that shines a light both on individuals caught up in the sweep of history and the way life is transmuted into art. Baker's novel features Samuel Beckett and James Joyce as the main characters, and I am mystified as to why. Their work is only mentioned, and has no role to play in the events here. The only reason I can think of is that Baker wants to show us that great men suffer in bad times just like the rest of us. War is the leveler of all distinctions ... The book demonstrates, in impeccable detail, that even war can become the stuff of daily life, a routine, albeit slightly altered in that it now includes keeping a safe shelter and finding one's daily food. A Country Road, a Tree doesn’t offer its reader many footholds. 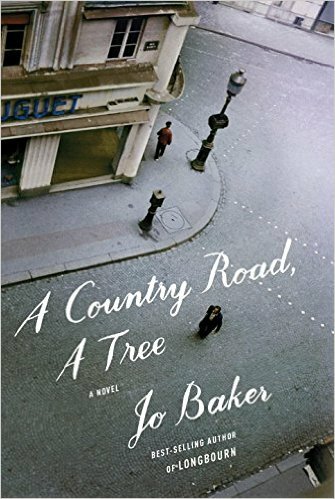 It sticks very faithfully to the facts of Beckett’s biography, but often doesn’t tell you exactly what they are ... yet for all its deliberate obscurities, A Country Road, a Tree is much less radical in style and conception than the man Baker has chosen to honor. 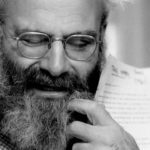 The purpose of the book is to show how a directionless expatriate writer ripened into the Samuel Beckett of literary history. But it’s impossible to imagine Beckett writing a bildungsroman where the difficulties of World War II bear heroic fruit in the artistic triumph of Waiting for Godot ... The atmosphere of ennui eventually leaves the reader wondering if a more engaging tale could have been told with the resourceful and practical Suzanne as its protagonist. What did you think of A Country Road, A Tree?